Myki Allows You To Share Access To An Account Without Sharing Your Password. To share an account, open the Myki App, then go to your vault and tap on the account you would like to share. Go to the sharing tab by tapping on "Sharing". 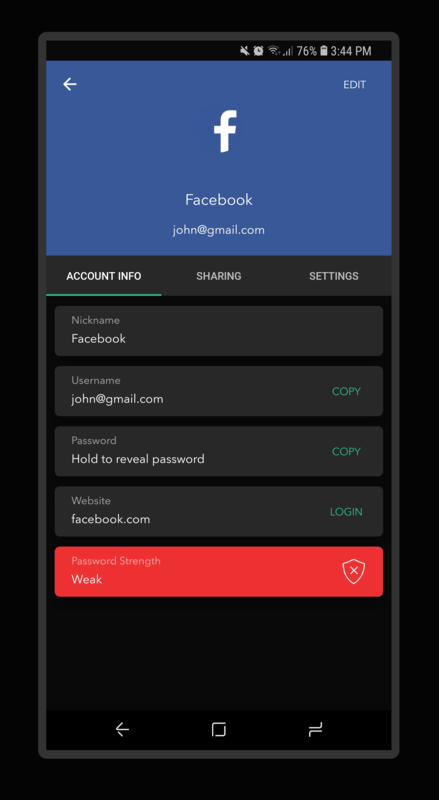 Tap on the share icon at the bottom of your screen (or the "Share Access" button if you're on iOS), you will then be able to choose who you want to share your account with from your contact list. Tap on the contact name you would like to share the account with then tap "Yes" to confirm. 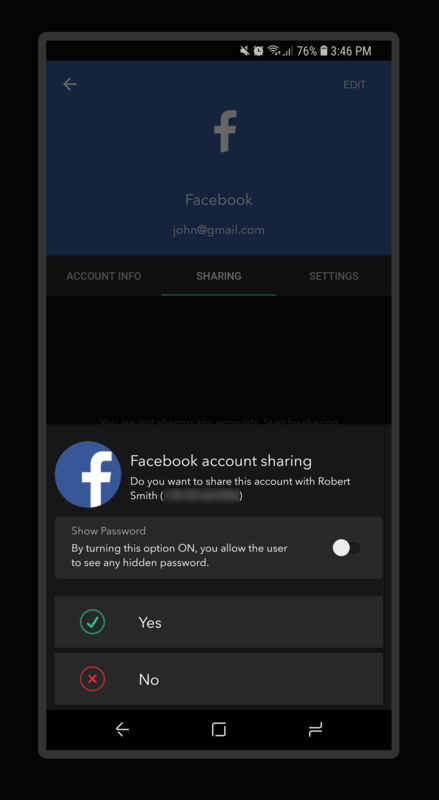 The name and phone number of the person you shared the account with will then appear in the sharing tab. 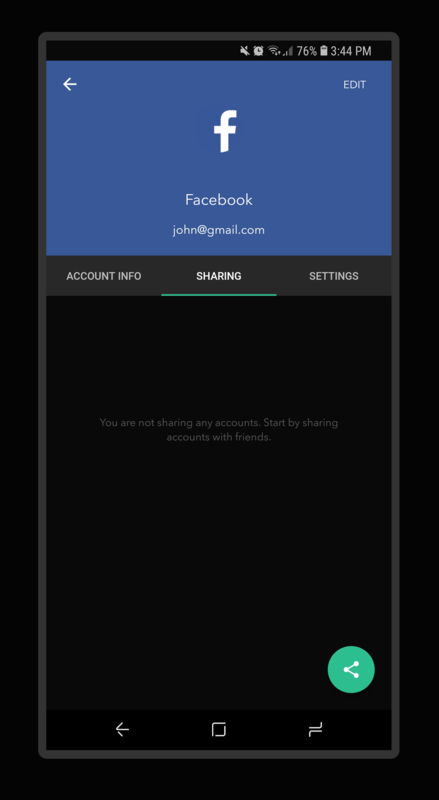 You can revoke access to any shared account at any time by tapping on the "Revoke" button.